This will be the first time I have tried to get onto the all-member e-ballot for the Labour Party NEC elections. I am doing so as an independent candidate, free from any faction or list, in the hope of making the party less London-centric and with a view of championing difference, diversity and intersectional anti-oppression politics. Since joining the Labour Party, I have been out campaigning almost every week. Working at a grassroots level, communicating with members and speaking with our local community on the Labour doorstep has allowed me to gain insights and perspectives into the hardships and challenges that we are all facing under this right-wing and oppressive tory government. It also leaves me brimming with ideas for how the party, both locally and nationally, can incorporate the lived experiences of ordinary people into our policy development and general direction in the coming years. My own politics, I can safely say, are firmly leftist, progressive and socialist. This has meant that I fit somewhere in-between the various slates running in the upcoming election, and things are perhaps more difficult for me because I try to take a fact-based and common sense approach in my worldview as opposed to dogmatism so inherent in certain strands of political thought, often tied inextricably to the ‘us’ and ‘them’ ideology of factions. One of the things that I feel strongly about is for those elected to the NEC to be accountable, accessible and responsive to party members. 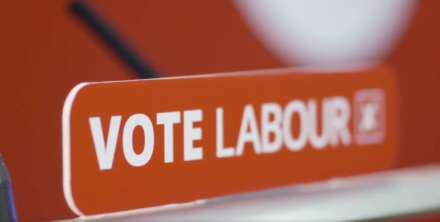 I want the party to really engage with, and indeed cherish, the membership – it is, after all, ordinary members that are the backbone of this party; people who volunteer their free time to knocking on doors, running phone banks, and leafletting in order to get our message out and our council and parliamentary candidates elected. We should never treat the membership, people I view as a big Labour family, like a commodity. Each individual should be valued and respected. It is my hope that our party will recognise the massive potential and untapped resource in terms of activism, campaigning and grassroots advocacy that could come about through a more concerted engagement with ordinary members. Should I be successful, I promise to be responsive and accessible to members. I will also provide informative reports of what is discussed at the NEC, so members are made aware of what decisions are being made, actions the party has agreed and what members can do to have an input. In terms of my position and work on race equality, and my broader political positions, I would describe myself as having incorporated intersectionality and anti-oppression politics into the very core of values and principles. There can be no place in the Labour Party, or wider society generally, for racism, sexism, Islamophobia, anti-Semitism or any other form of oppression. I also wish to make it clear that I believe the party needs to do much more for LGBTQI inclusivity and for more people in positions of power to state unequivocally that trans women are women. I have over a decade of experience on the front line standing against the rise of fascism in the United Kingdom and will continue to speak out against all oppressors. One of the strengths of our Labour Party is the pluralistic, participatory and democratic manner in which we drive forward change. Only a unified Labour Party is going to get us into a position where we can form the next government. It is only by working together collectively as an inclusive movement, one that incorporates resistance to all oppression at all levels, respecting the autonomy and agency of oppressed and marginalised groups to take lead and define their own oppression through experiences, and raising those voices up, that we can be successful together in our effort to dismantle all oppression. In standing as an independent, I hope to be able to bridge some of the divide within the Labour Party so that we can become an ever increasing and effective vehicle of change for the many, not the few. If you believe in having a pluralistic, respectful and membership-driven Labour Party, a party that returns to its core principles of anti-racism and inclusivity, please consider nominating and voting for me. Gary Spedding is standing for Labour’s NEC.